Designed specifically for lining returnable trays, the ARMOR POLY® HDPE film offers excellent conformability not found in papers or other barrier materials. 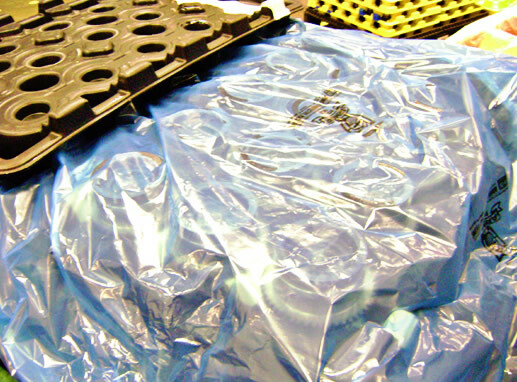 ARMOR POLY® HDPE is typically offered in 1.25 mil sheeting for lining trays or returnable totes. ARMOR’s Bright Idea Technology™ allows for glowingly visible proof that VCI is present in ARMOR Poly® Films under a black light.